As part of the Pilbara Regional Investment Blueprint, new walking trails and viewing platforms have improved access for visitors to Karijini National Park. The trails will provide safer access to Fortesque Falls and Fern Pool. The project was a joint effort between the Pilbara Development Commission and the Department of Parks and Wildlife (DPaW). You can learn more about the sites at DPaW’s web page here. First edition of Nyangumarta News now available! 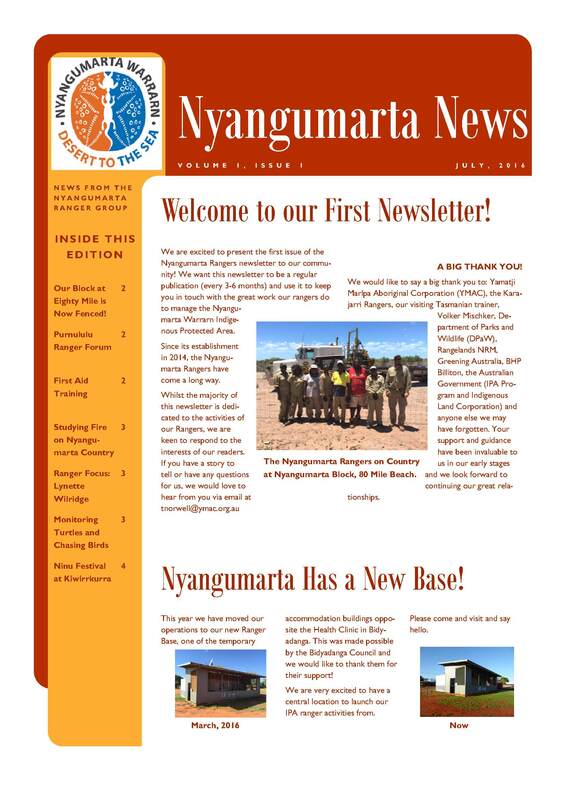 Following the formal dedication of the Nyangumarta Indigenous Protected Area in 2015, the Nyangumarta Warrarn Aboriginal Corporation (NWAC) and the Nyangumarta Rangers have published the first issue of their community newsletter. 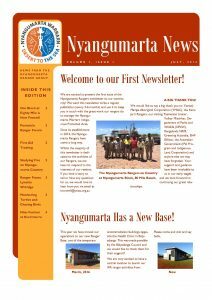 Meant to help inform Nyangumarta Traditional Owners and promote the work of the Rangers, Nyangumarta News will publish at least two newsletters a year. NWAC also hopes that the newsletter will be a point of pride for the Rangers, who work so hard to keep the Nyangumarta connection to Country strong. Through ranger programs, elders pass on their knowledge to the younger generations, and give Rangers important cultural responsibilities like protecting culturally significant places, managing on-Country resources and educating young people. Though the newsletter will focus on stories about the Rangers and their activities on-Country, NWAC welcomes stories from local readers. You can contact Todd Norwell, Ranger Coordinator at tnorwell@ymac.org.au if you have anything to submit. You can read the first edition of Nyangumarta News here.